You can never have too many Vista icons to choose from so here are some more great icons to add to your computer. 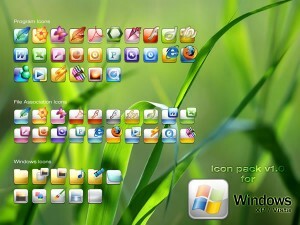 These icons are simple but full of color and would look great on any desktop. I like the Office documents icons the best. I wish Microsoft would have made these beautiful creations the default Vista icons.